Gemfibrozil, part of the fibrate class of drugs, is one of the older lipid-lowering medications on the market today. As such, it comes in a multitude of brand names, formulas, and dosages. In addition, its age means that multiple long-term studies have been performed on it. Perhaps due to its age, perhaps because of how it works, it also happens to be one of the more dangerous lipid-lowering medications. It’s been linked in those long term studies to cancer, gall bladder disease, severe abdominal pain leading to necessary abdominal surgical procedures including appendectomy, and increased non-coronary fatalites. Because of these dangers, it’s not generally considered as a first line of treatment for cholesterol problems. The benefits of Gemfibrozil for most people with common cholesterol problems are NOT going to outweigh the risks. Gemfibrozil should not be taken by pregnant or nursing mothers unless the benefits outweigh the risks, as usual. It’s a Category C medication, which means they never tested it on pregnant or nursing mothers. In addition, gemfibrozil has never proven either safe or effective in kids, either pre- or post-pubescent. People with severe liver or kidney damage shouldn’t take gemfibrozil, nor should people with pre-existing gall bladder disease. Gemfibrozil can cause an increase in blood sugar, so monitor yoru blood sugar levels carefully if you suffer from diabetes. And, of course, don’t take gemfibrozil if you know you’re sensitive or allergic to it. If abnormalities are going to crop up with gemfibrozil use, they generally tend to do it within the first year. Therefore, frequent blood testing for blood count, liver enzymes and kidney function is recommended within that first year, along with appropriate testing (i.e. semiannually) for the rest of the time you’re on gemfibrozil. Gemfibrozil is marketed under a plethora of names, including Apo-Gemfibrozil, Bolutrol, Cholespid, Decrelip, Fibratol, Fibrocrit, Gemfibril, Gemfibromax, Gemlipid, Gen-Fibro, Genlip, Gevilon, Hipolixan, Jenzil, Lipozid, Lipur, Novo-Gemfibrozil, and Nu-Gemfibrozil in addition to the original brand name, Lopid, which is still marketed by Parke-Davis, a Pfizer company. In addition, there may be some brand names I missed here because gemfibrozil is so old anybody can put it out as a generic with a cute-sounding trade name. The trick is to look behind the name in bold to the name in parentheses. Each and every medication must tell you the generic name in addition to their particular brand name. Because of all these different brand names and marketing packages, I can’t really list all of the ingredients lists and potential appearances. The first time you get a particular medication from a pharmacy, the pharmacist should be able to provide you the information on the correct appearance of your medication, in addition to the list of active and inactive ingredients used to create your particular tablet. What I can tell you is that no matter what form it’s in, you should store Gemfibrozil between 20 and 25 degrees C (68 to 77 degrees F), which means in a cool, dark place such as a medicine cabinet. Don’t leave Gemfibrozil out where it’s going to bake for hours, and don’t store it somewhere it’s going to get downright chilly for very long. Gemfibrozil needs to be protected from both light and humidity, so remember to keep it in tinted plastic and close it up tightly. Gemfibrozil is mainly indicated when statins, the first line of pharmacological defense, can’t be used for some reason like sensitivity to statins in particular. It may also be used if you must take a long-term medication that doesn’t interact well with statins but doesn’t cause a problem with gemfibrozil. Gemfibrozil is most often recommended for treating very specific types of lipid disorders involving high serum levels of triglycerides, especially those at risk of developing pancreatitis because of it. 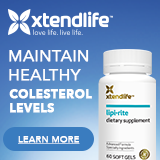 It’s also proven effective for reducing the risk of coronary heart disease in people with a specific pattern of high cholesterol called Type IIb hypercholesterolemia. Gemfibrozil only works to decrease the risks of Type IIb coronary heart disease if the person in question does not have either a history of or current symptoms of coronary heart disease. In other words, you have to have the specific pattern of cholesterol levels that make up Type IIb, and you can’t have coronary heart disease yet. Good question, nobody’s really sure. While that may sound alarming, it describes many medications we have on the prescription drug market today. In fact, it’s so common I heard in pharmacy school that if I didn’t know the answer to a “mechanism of action” question on the test, just mark it as the “unknown” option. I stood at least a fifty/fifty chance of being correct because of the number of medications no one entirely understands. Please note, I’m just a pharmacy technician, not a full grown pharmacist. What we do know about gemfibrozil is that it works to both speed up LDL-C breakdown and to inhibit the synthesis of new LDL-C, but what we don’t know is how it accomplishes this. It reaches its peak concentration in the blood about one to two hours after taking it by mouth, and clears out of the system within twenty-four hours. The absorption rate and amount absorbed both went up significantly when taken half an hour before meals, which has its good and bad points. On the bright side, your medication is working more efficiently. On the down side, many of the risks associated with gemfibrozil get risker at higher doses. The important thing if you take multiple medications is to decide on the exact circumstances, such as time of day, with food or without, and stick with that habit. That way your doctor can adjust all of your medication doses to work in conjunction. Gemfibrozil offers some fun and interesting side effects. The most common side effects of Gemfibrozil are pretty standard to oral medications in general, such as headache, diarrhea, gastrointestinal upset, dyspepsia, constipation, abdominal cramps or pain, harmless muscle aches and so forth. However, the Gemfibrozil side effects you really need to worry about are acute appendicitis, atrial fibrillation (the top chambers of the heart vibrating instead of beating), abnormal liver function, worsening kidney disease if it was already present, rhabdomyolysis, myopathy, gallbladder disease, severe anemia, leukopenia, thrombocytopenia, and bone marrow hypoplasia. Those last four indicate blood problems with red blood cells, white blood cells, platelets and bone marrow itself, respectively. In addition, other Gemfibrozil side effects include the increased risk of non-coronary mortality and higher cancer rates noted in the long-term studies. Please note that all of these side effects are pretty rare and the odds of any affecting you are much less than your odds of getting into a car crash. You still have the right to know the risks you’re taking along with your medication, it’s called informed consent. Gemfibrozil has some drug/drug interactions worthy of note as well. It tends to increase the anticoagulant effect of most blood thinners prescribed today. For this reason, it’s important to monitor the blood clotting ability of your blood carefully when first starting to combine gemfibrozil with a blood thinner such as warfarin, acenocoumarol, dicumarol or anisindione in order to get the right dosage of each. If you are taking a blood thinner to combat blood clots and gemfibrozil at the same time, never miss either medication. If you don’t take the gemfibrozil, and your blood thinner dose is adjusted to work with it, you could get too little of the blood thinner and develop a life-threatening clot in about no time. Gemfibrozil does not generally get along well with the statin class of medications, as both statins and gemfibrozil can cause rhabdomyolysis/myopathy on their own. Adding them together makes the risk worse right there. In addition, the two tend to increase the amount of each other in the blood, making the risk even higher. Rosuvastatin is particularly worthy of note, as it seems to literally increase the effects of gemfibrozil, good and bad. In addition, gemfibrozil increases both the effect and the chances of toxicity of pioglitazone, rosiglitazone, and repaglinide. On the downward trending side, gemfibrozil decreases the effect of ursodeoxycholic acid. The upshot is that if you’re on any of these medications, your options are somewhat limited. You could try to find a different medication that performs the same function without interacting badly with gemfibrozil. You could try to find a different medication to lower your cholesterol levels that doesn’t interact badly with your other medications. Your last option is to work with your doctor to find the correct dosages of each in order to make everything work smoothly, and go in for blood tests fairly often until your system and your medications stabilize. There have been a few reported cases of gemfibrozil overdose. The people, including small children, who have overdosed on gemfibrozil did recover without permanent damage that I could find. If an overdose is suspected, get the person to a hospital immediately and tell them your suspicions. The overdose symptoms reported thus far have been abdominal cramps, abnormal liver function tests, diarrhea, increased creatine kinase indicating kidney malfunction, joint and muscle pain, nausea and vomiting. Anyone who overdoses should be treated to relieve the symptoms as they come up and have the tests done to check for liver and kidney function. While hemodialysis is often performed on anyone who has overdosed on anything, there’s nothing to show that it will do any good in the event of a gemfibrozil overdose. In conclusion, gemfibrozil can work quite well to decrease low-density lipoprotein cholesterol in people with simultaneous elevated triglycerides. However, Gemfibrozil is not a cure all and should be regularly re-evaluated to see if it’s still doing its job, and if there’s anything that can do that job better. Because of the risks associated with Gemfibrozil, it should never be the first thing prescribed, and anyone who was put on Gemfibrozil as a maintenance dose back when it was the only thing available should probably take a look at some of the new medications coming out today. When the specific recommendations and guidelines are followed, gemfibrozil does a very good job of decreasing high cholesterol levels and the risks associated with it. Remember to learn as much about all of your medication as you can, and best of luck on your search for the right cholesterol management strategy.